At first I thought I’d seen the defining parts of Nicholas Hytner’s energetic take on Shakespeare's political drama – audience as mob, raucous live music, obvious political parallels – done before and better at the Globe. 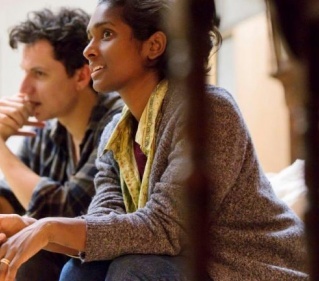 By the end I was won over by the sheer direct force of a show where a prime cast is almost upstaged by the Bridge theatre’s versatile, shape-shifting auditorium. 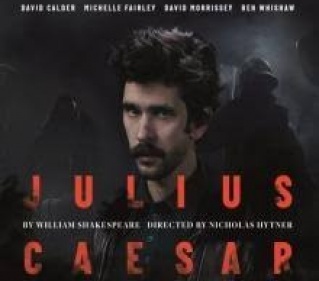 David Calder is Caesar (more Bush than Trump), David Morrissey, Antony, but the real fizz comes from the heated relationship of Ben Whishaw’s torn Brutus and Michelle Fairley’s adamant Cassius. The supporting cast is strong, and it’s a thrill to see this theatre put properly through its paces. 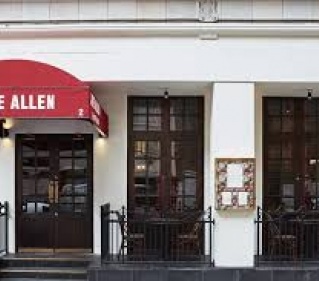 I hadn’t been to old favourite Joe Allen for years when its basement premises were suddenly sold. What a joy, then to walk 40 yards west to find it recreated and rejuvenated. The décor and theatre posters are unchanged, but lacklustre service and cooking has been revamped. A breakfast of blueberry pancakes (best ever, said my connoisseur) and a well-judged bacon bun, excellent coffee and mocktails (the hard stuff starts at 10am) felt more like the Wolseley than the old off-menu burger days. And daylight is a definite bonus in a place I used to visit in the small hours. Maybe we’ve both grown up. 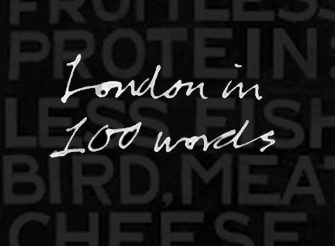 Not slow – unhurried. American playwright Annie Baker sets her own studied pace for this relationship drama with intriguing supernatural and existential overtones. Young couple Elias and Jenny try to heal problems with their relationship in the doll-cluttered Gettysburg guesthouse of Mertis (delightfully eccentric Marylouise Burke). The presence of Mertis’s blind friend Genevieve underlines that all the characters are, or feel, watched. Is the house haunted by ghosts of the Civil War, or is a higher power looking down? Baker is content to pose the question, and I was content to ponder it and savour the delicate interactions she weaves. 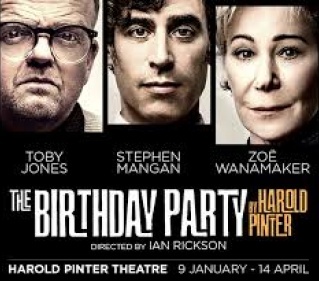 I’ve never seen Harold Pinter’s absurdist drama done as stylishly, menacingly or funnily. In a seaside guesthouse twittering landlady Meg (a superb Zoe Wanamaker) flirts with surly lodger Stanley (Toby Jones, unusually malign). The atmosphere is already sour by the time Stephen Mangan’s masterful Goldberg and psychotic sidekick McCann (Tom Vaughan-Lawlor) turn up. Mangan commands the stage and manipulates the play’s morbid laughs with supreme skill and the whole thing is pacy and enthrallingly strange. Only the apparent sexual violence done to local girl Lulu (Pearl Mackie), slightly at odds with her lines, strikes an odd note in Ian Rickson’s otherwise flawless production. Oscar Wilde’s exquisitely tooled drama is a pleasure to experience even if Kathy Burke’s handsomely cast production is a little stiff, drab and respectful. Samantha Spiro is Mrs Erylnne, the woman with several pasts (“and all of them fit”), using the Windermeres (able Joshua James and newcomer Grace Molony) to lever herself back into society. Jennifer Saunders steals the laughs as the Duchess of Berwick, leaving the supposedly “witty” men standing. 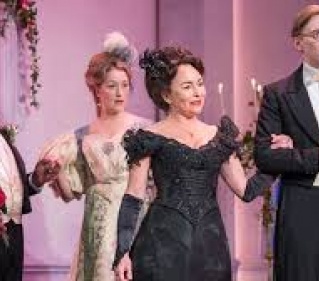 Wilde’s social commentary seems sharper in our dark and intolerant days and the script fits together by like a Swiss watch, but the show lacks oomph and dazzle. Shame.